iPhones have always been expensive, however, Apple’s brand new iPhone XS Max is a very expensive smartphone starting at Rs 1,09,900 in India. 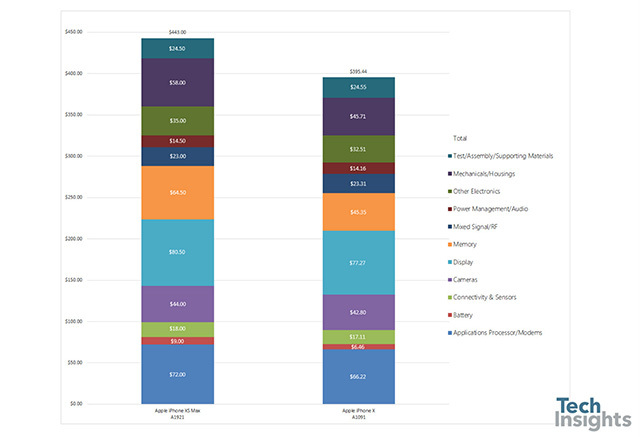 That might make you wonder, how much does it cost Apple to build that iPhone, and we now have a partial answer to that question, thanks to the good folks over at TechInsights. They have performed a teardown of the new iPhone XS Max, and compiled a list of the cost per component to get an idea about the material cost for making the iPhone XS Max. 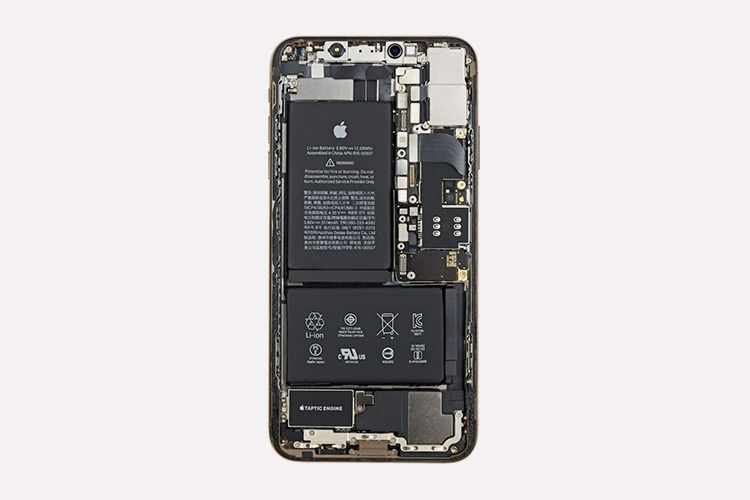 According to the TechInsights teardown, the most expensive part of the iPhone XS Max is the display, which costs Apple $80.50 apiece, followed by the A12 chip and the various modems inside at $72. That’s understandable, after all, the iPhone XS Max does have the best display in a smartphone ever, so it’s expected to be expensive, and the A12 is the most powerful chip in the industry as well. Following these components are the storage at $64, the cameras at $44, along with the housing and mechanical components priced at $55. Most of the components inside the iPhone XS Max are more expensive than before owing to the much larger size of the smartphone. In comparison to the 5.8-inch display on the iPhone X from last year, the iPhone XS Max has a 6.5-inch display which in itself adds up a lot of cost to the phone. Over all, TechInsights concluded that the cost of all the components inside the iPhone XS Max is $443 — that’s $50 more than the iPhone X, by the way. However, it’s important to note that this is purely the cost of the components inside the phone. This price does not include manufacturing and assembly costs, R&D, software development, marketing, advertising, and the number of other things that go into developing a premium device.